Participate with Pachyderm Power! to Protect & Preserve Elephants! 1. 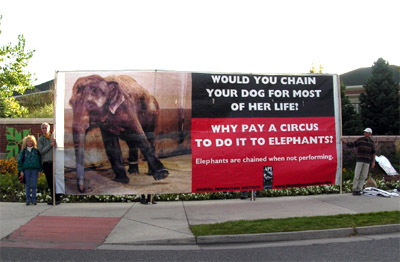 Enjoy entertainment that doesn't use animals, especially not elephants. 2. Ride a bicycle, not an elephant and never go on an elephant safari. 3. Support the ban on ivory. 4. Book Kristal to speak. No audience is too small and no distance too far. 5. Host a fundraising event or financially support our work.